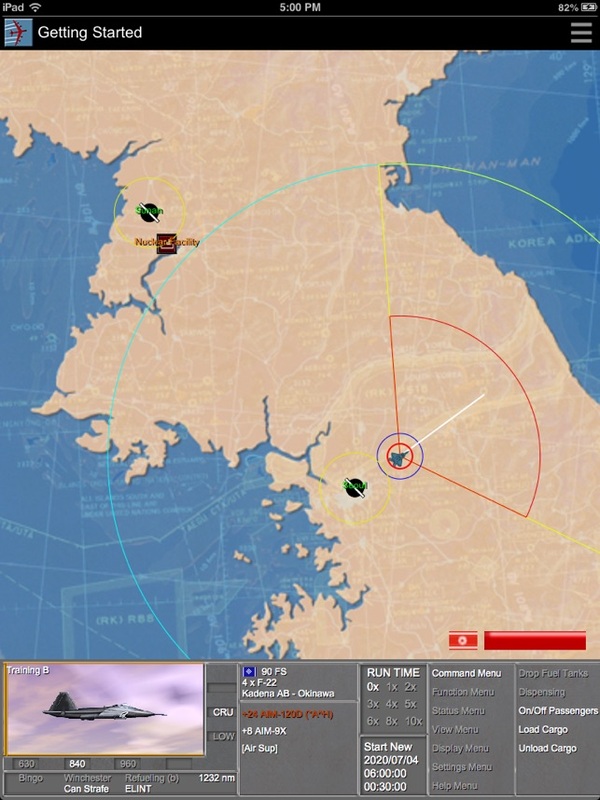 Modern Air Power is a SERIOUS game on the concepts of modern air combat. 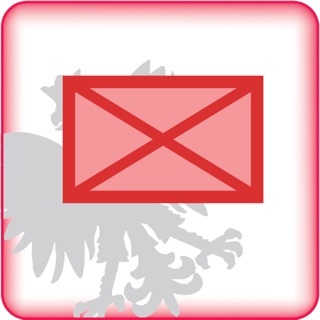 This version covers aspects such as stealth, precision bombing, advanced sensors, and even futuristic concepts such as High Powered Microwave weapons. 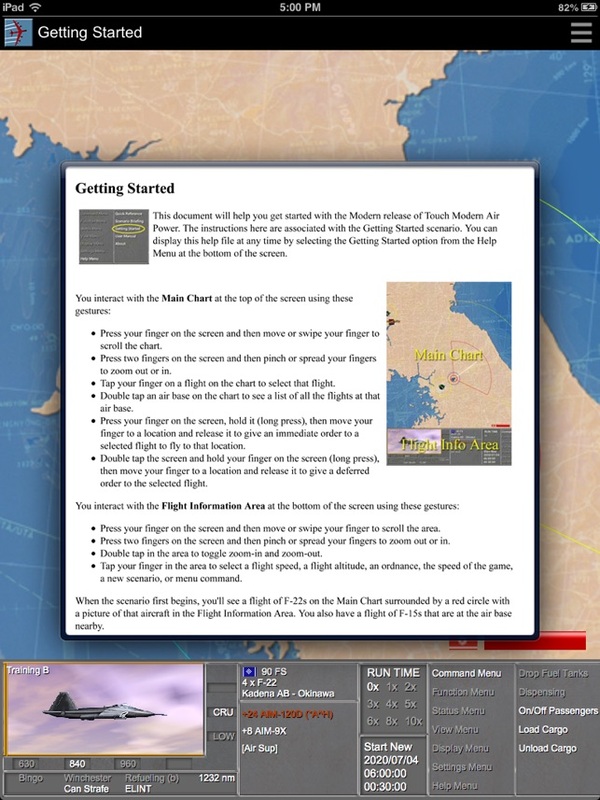 In this release of Modern Air Power there are 21 scenarios that give you the opportunity to learn about air operations from Air Superiority to Air Mobility. You command a number of different modern aircraft such as the F-22, F-35, B-2 stealth bomber, CV-22 Osprey, and E-3 AWACS. 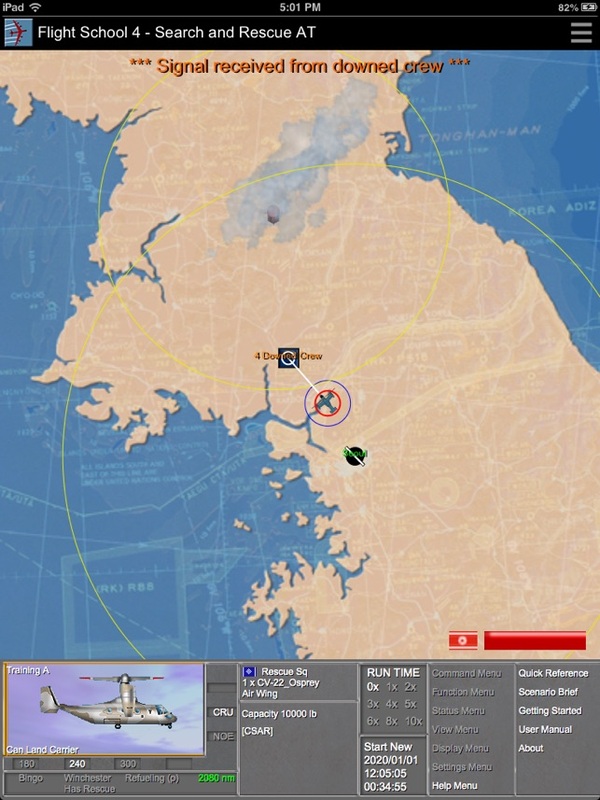 You face modern enemy aircraft such as the Su-30 fighter under the control of an Artificial Intelligence opponent. 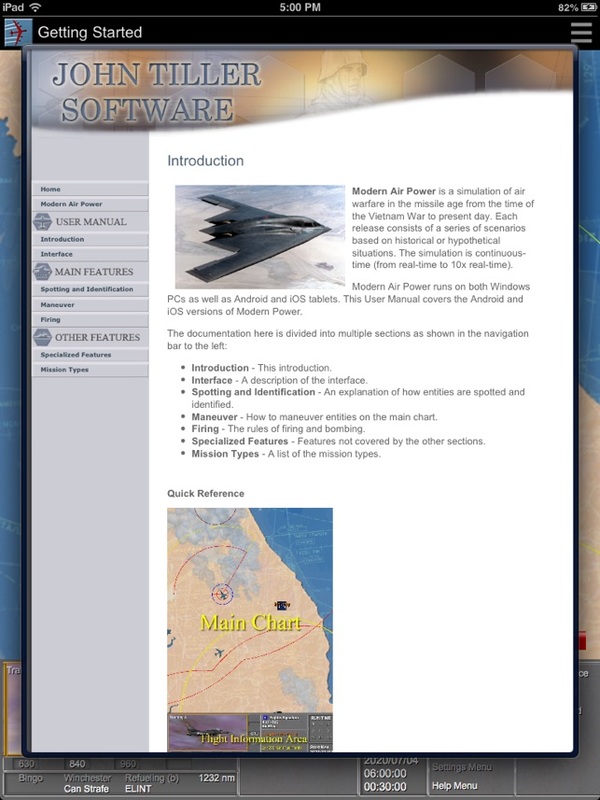 This free release of Modern Air Power gives you the chance to learn the interface and get familiar with how to manage advanced air combat. 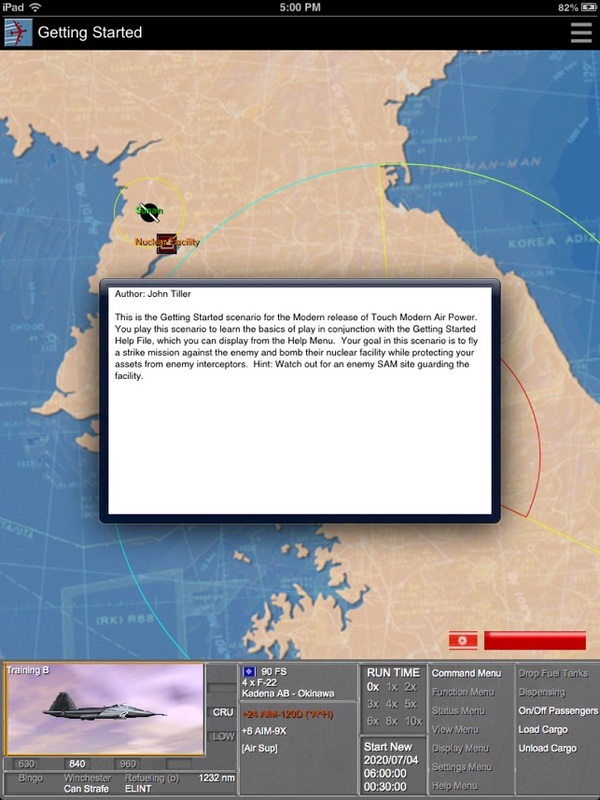 Other versions of this game engine include releases covering historical air wars from the age of the guided missile. Awesome job. 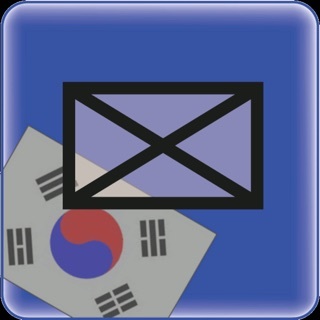 Would love to see full DPRK campaign or other locals. Just as easy to use as the PC version. The double tap-tap took some getting used to but once you learn to set multiple turn points things get easier. Keep up the good work. Hope to see future releases! I want to like this game but it has a really distracting bug in which the map is displayed at a much lower resolution than either the iOS display or the menu. Looks really bad and not clear if developer is still actively supporting it. 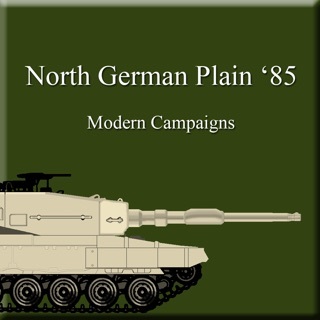 This excellent wargame simulates modern and near-future air combat at the tactical level, and should be considered a must-play for anyone seeking a departure from the more casual iOS fare. 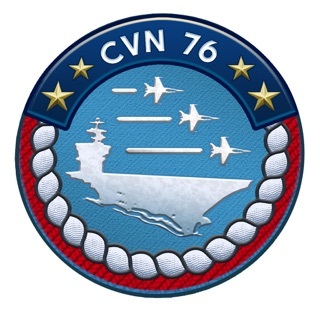 Fans of the Harpoon series, Jane's Fleet Command or Command: Modern Air / Naval Operations (all on PC) should stop reading this review immediately and download the game: you'll be right at home. 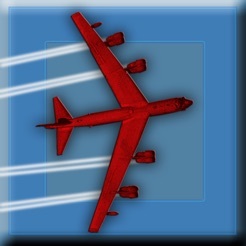 For others, this game may appear rather unapproachable, with an admittedly clunky interface and detailed modeling of aircraft and land-based radar and emissions. Those who put in the time to read the extensive documentation and learn the underlying systems, a game of incredible depth and realism awaits. 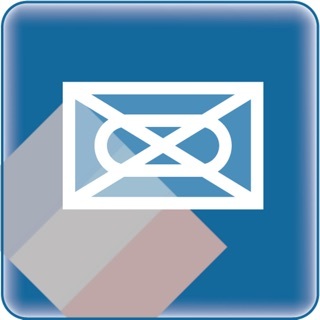 My only complaint is lack of a unified campaign and the overall impression that this app was designed to be a tutorial for greater things to come. Of course, it's free, so there's nothing wrong with that.